This upscale Novak Sereis bench blends design and function with open grace. 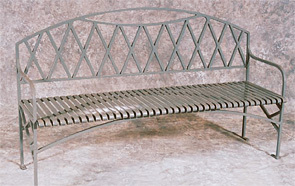 The individual metal slats on the seat have a nicely finished rounded edge that protects the legs and adds comfort. It's solid steel construction and powder-coated finish will provide many years of comfort and service. The bench seat is made up from flat steel that is 3/16" thick. The entire frame is constructed with solid 3/4" square steel rod. Ships completely assembled. 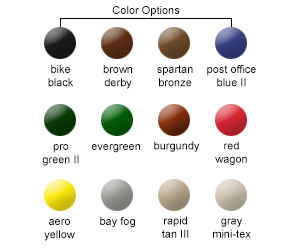 Available in the color options as shown.